Disappointing youth; coach fines; but two wins? Ethan's away days! 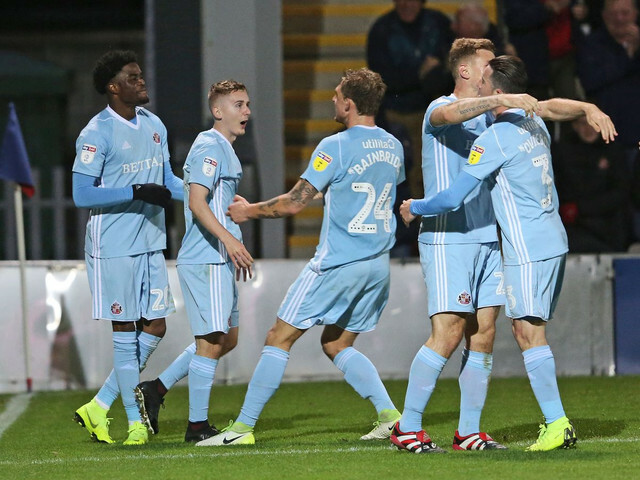 In the last week, Sunderland were on the road twice in three days, down in Shropshire at Port Vale and then across the Pennines to Morecambe in the Checkatrade Trophy. Jack Ross fielded a strong side in the FA Cup clash at Vale Park and then a young and inexperienced side to face the Shrimpers on Tuesday. Sunderland had already qualified for the next round of the Checkatrade Trophy. As we arrived a few hours early, there was absolutely nothing to do before the game unless you fancied a rather long walk into Stoke town centre. The coaches parked in what looked like a pub car park, only to be sprung a surprise £25 fee to park there. Vale Park itself was built around 1950 and is quite old fashioned and in need of restoration. Old standing terraces were converted into seating areas, but the concourse wasn't exactly anything modern. However, it was a nice change that the toilets were a decent size compared to some grounds this season like Luton and Burton Albion. The game was exactly what it promised to be: a boring and uneventful affair. George Honeyman scored with a fantastic strike into the bottom corner within the opening minute. Lynden Gooch then doubled the lead not long after than with a great turn and finish past the Valients keeper. Just before half time, Port Vale pulled one back through Tom Pope after some good work by Whitfield, it was an absolutely shambolic display of defending. The second half left a lot to be desired, it would have been more interesting watching paint dry, I didn't think we could've played more boring football but then again we hadn't played Morecambe yet! After a trip across the A66 to the North West coastal town of Morecambe, we eventually got to the ground and there was, helpfully, a pub serving food next to the ground called the Hurley Flyer. If anyone was stuck for something to do then that's exactly what you were: stuck, apart from a few arcade amusements and a statue of the legend that is Eric Morecambe on the sea front. The ground itself is a decent little ground with a full standing section behind each goal. The travelling support was spread out between the Heart Radio Stand behind the goal and in the main stand which was seated. The fourth stand was nothing more than a few rows of standing terraces and no cover. To put it bluntly, it's one of the worst and most boring games I've ever seen. Jack Diamond came closest but even that was a gready run followed by a poor shot straight at the goalkeeper, even though Bryan Oviedo on the overlap was a far better option. I know they're both only young and inexperienced but Jordan Hunter and Jack Diamond were way below average and Diamond could've been the difference but his desire to keep running and have a shot meant that we were at a disadvantage. Robbin Ruiter nearly cost us the game after dropping the ball and nearly putting it into his own net. Josh Maja did scorein injury time from a Bryan Oviedo sublime cross, it was a brilliant finish by the top scorer for him to hit double figures. Overall, the two games provided Sunderland with another two wins, making it eight in a row and hopefully Wycombe on Saturday will be nine. Lee Cattermole is still unavailable but Duncan Watmore is on the road to recovery and may feature in some way. Both Port Vale and Morecambe aren't a true reflection on how the league has been going but it's two wins in the bag and some young players have game time under their belts. Nobody impressed in either game but back to normal league duty at the Stadium of Light this weekend. As ever thanks for reading and look out for some more interviews with former players next week.